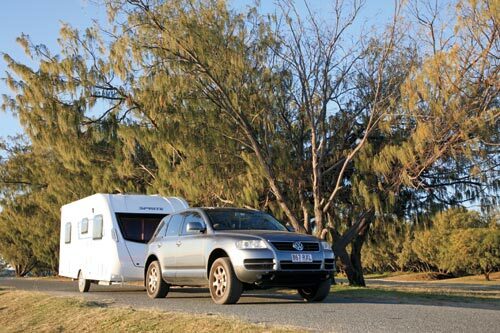 Swift caravans are known to many Australian RVers. British-built, they were sold here for a number of years before the importer closed-up shop. 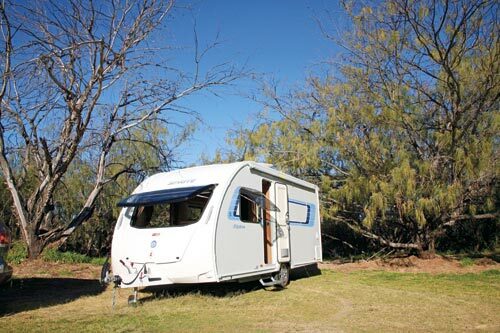 But there was nothing wrong with the caravans themselves and they are now available in Australia through a company in south-east Queensland. 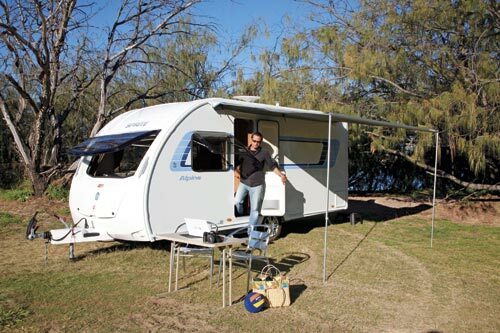 My review caravan, a Swift Sprite Alpine 4, came from East Coast Caravans - an official Swift dealer - with proprietor Alex Kammerlocher at the helm. 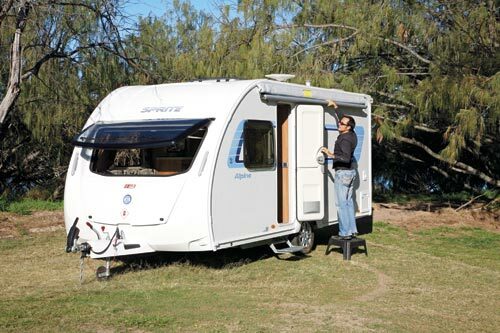 Typically, Swift caravans are quite lightweight and the Sprite, with an external body length of 4.55m (18ft) and an ATM of 1250kg, is a good towing proposition for a wide range of vehicles, including many sedans. The Tare is listed as 1022kg, giving it a load capacity of 228kg, which is less than normal, so you'll need to be careful with your loading. 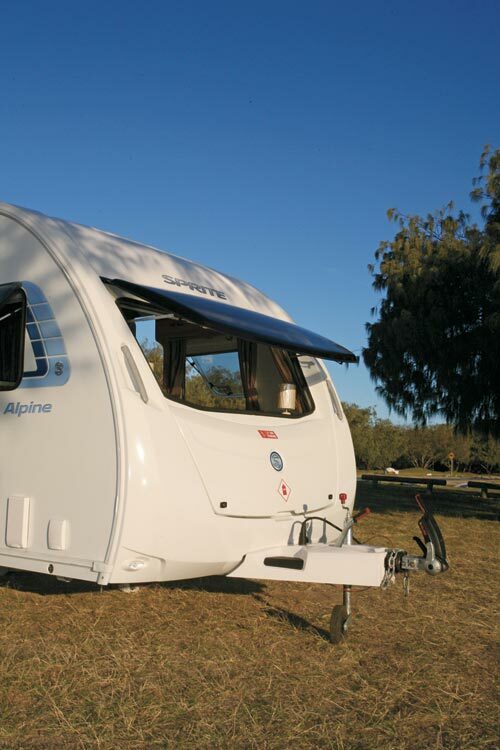 Like many European caravans, the Sprite Alpine chassis is quite different to most Australian ones. Built by well-known manufacturer Al-Ko, it mostly consists of two rails which form the drawbar as well. 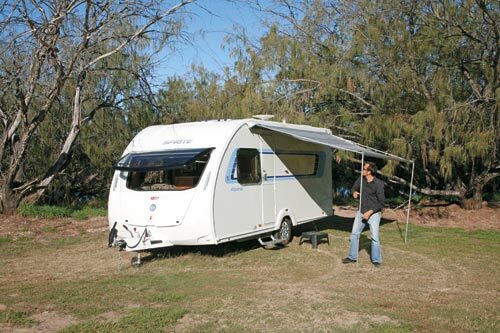 Australian models usually have a couple of extra cross-members and outriggers. 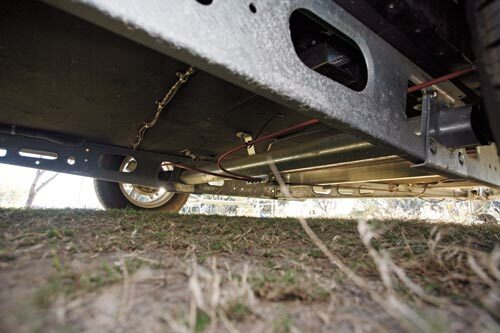 The Al-Ko chassis also comes with Al-Ko torsion suspension and an Al-Ko hitch up front. A little different to the standard ball hitch, it still functions just as effectively. Apart from the hitch, the drawbar looks almost under-utilised with its neat moulded cover but there is a handbrake and jockey wheel (simply wound up, not removed) and a slot to park the electric socket when it's not being used. 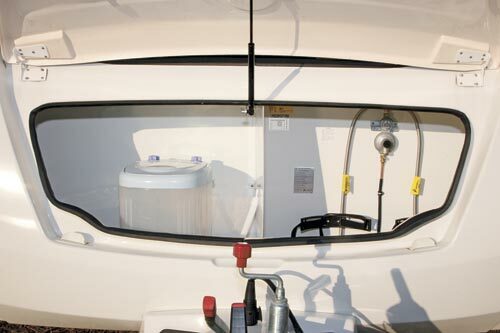 There are no gas cylinders - they are stored in the spacious front boot. 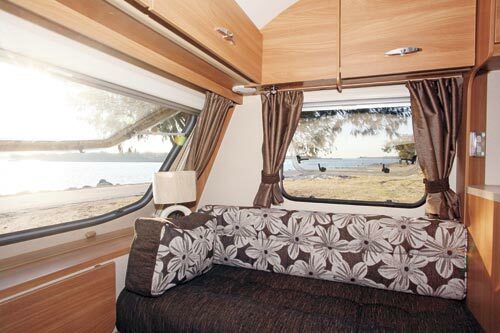 Although the walls look like fibreglass composite, the external wall covering is actually marine-grade aluminium, while the front and rear are moulded fibreglass. Large, tinted, double-glazed acrylic windows are a feature, while the door is a European-style stable door. 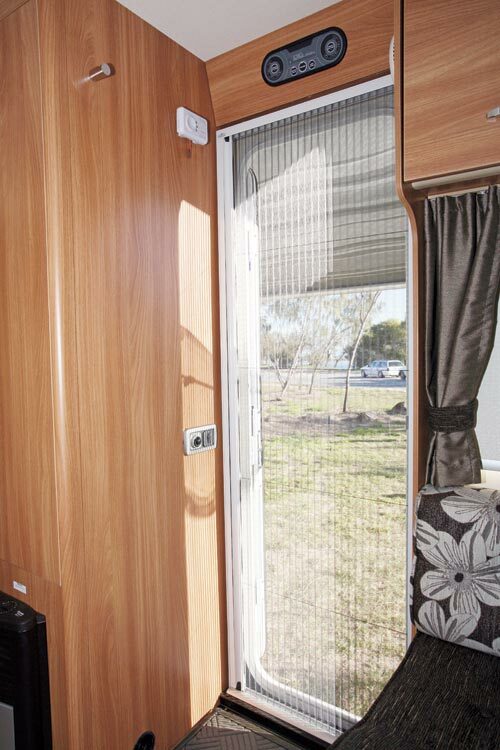 A concertina full-height insect screen can be pulled across the doorway but it can't be pulled all the way across with the lower half of the door closed because the moulded door-mounted garbage bin gets in the way. That is not just a Swift anomaly, as I have seen it on several vans. 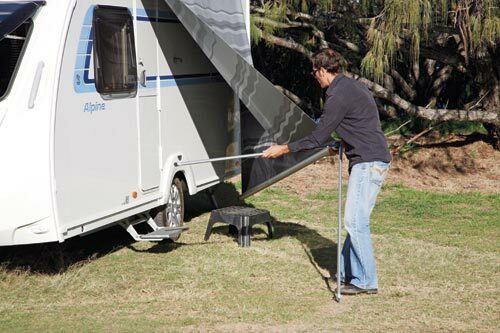 The van's awning is a lightweight set-up that has to be rolled out by hand. 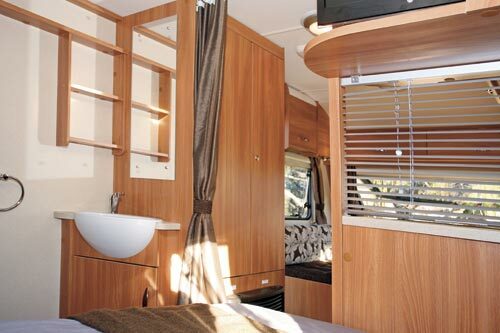 It's fitted to the side of the van in a long storage bag that you simply unzip before rolling out the awning. 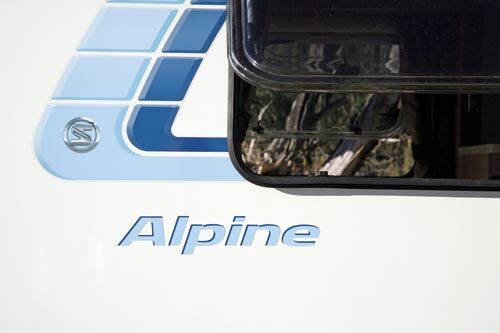 Not surprisingly, given its name, the Alpine 4 is a four-berth caravan. 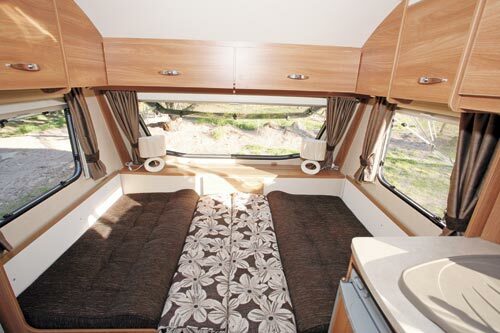 The main double bed is in the rear-offside corner and the two sideways-facing lounges at the front of the van can be converted into a second bed. 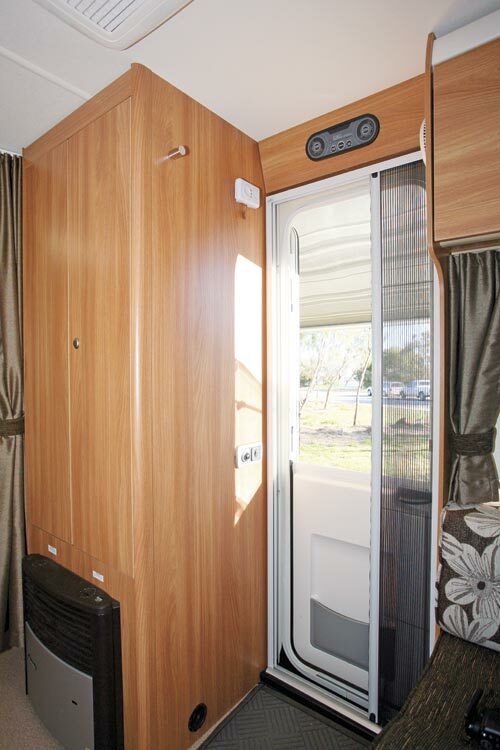 Having the rear bed off to one side means the bathroom can be squeezed into the opposite corner, leaving space along the nearside wall for a large wardrobe and the entry door. Filling the remaining space along the offside wall is the kitchen bench. You would expect to find Euro styling in a European van and the Sprite does not disappoint. 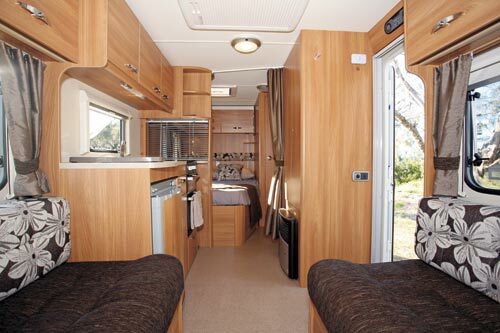 The interior is light and airy and makes efficient use of space. 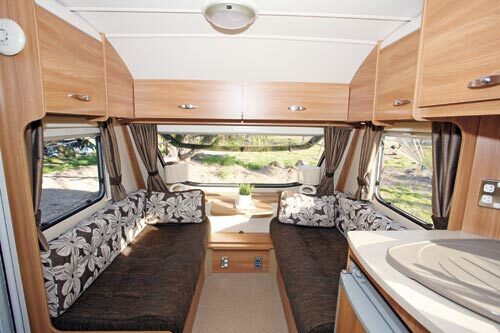 The sideways-facing lounges up front are a typical example of this van's versatility. 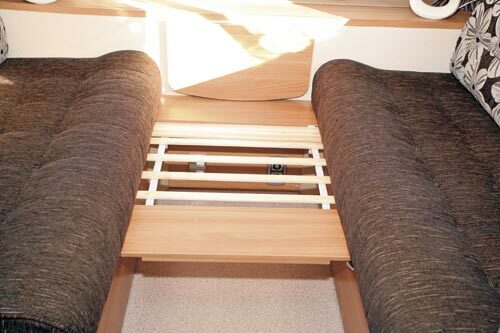 They can be used for sitting with the feet up - the windows give a good view of outside goings on; with the freestanding table set up, they create a dining area and, if required, can transform into a bed by pulling out the slatted base from the lower front cabinet and filling in the space with the two back cushions. 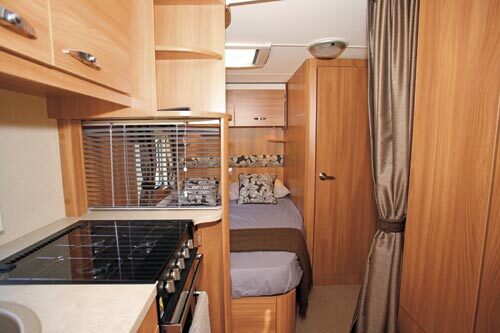 Overhead lockers are fitted above the seats, as are a couple of reading light and there are also two small table lamps. 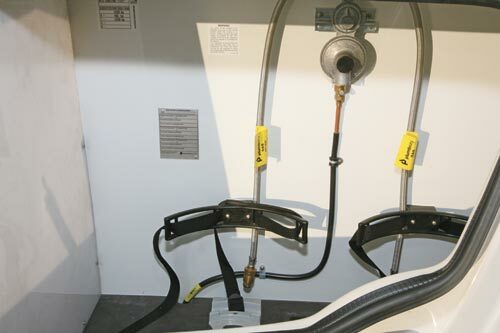 Located on a panel at the front of the seats are both a powerpoint and the hot water heater controls. 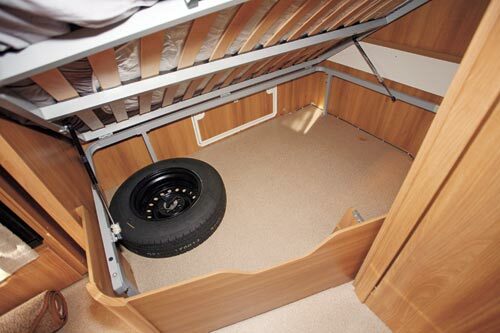 There is storage space under both seats that can be accessed by floor locker doors. 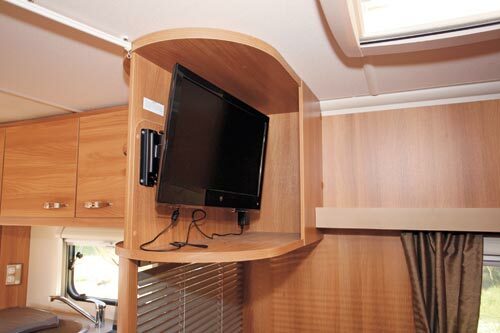 Part of the offside space is taken up by a multifunctional power unit that contains the mains power supply circuit breakers, as well as 12V fuses, battery charger and both water and space heater controls. 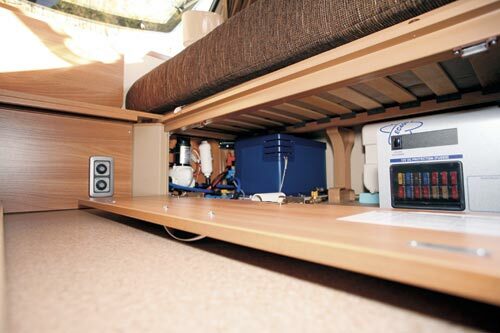 This is a little different to most caravan installations where all those items are separate units. Three lockers create the overhead storage. 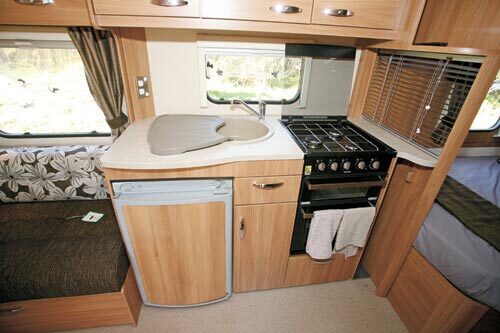 One comes with a plate and cup rack and the doors are side, rather than top, hinged, so watch your head when they are open. Under the bench is a floor locker and cupboard. 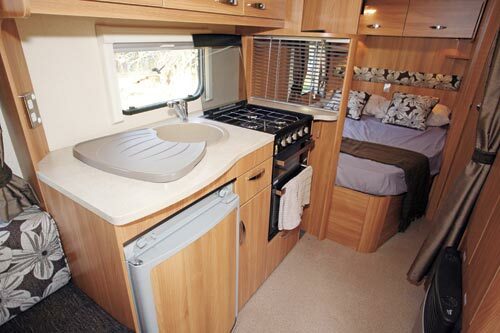 The latter is a bit messy as it contains two racks, one for the aforementioned sink drainer, as well as water and gas pipework. 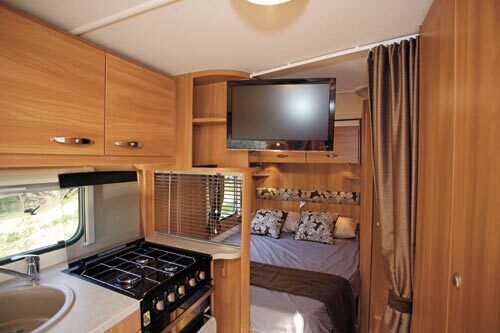 At the bed end of the kitchen bench is a ceiling-hung cabinet containing a flatscreen TV that can be seen from either the bed or swung out so it can be seen from the seats at the front of the van. Below the cabinet is a venetian blind which, along with the adjoining curtain, can close off the bedroom and bathroom for privacy. It could also be used to protect the bed from cooking spatters. It might look a bit funny to some, but it's more flexible than a solid partition. 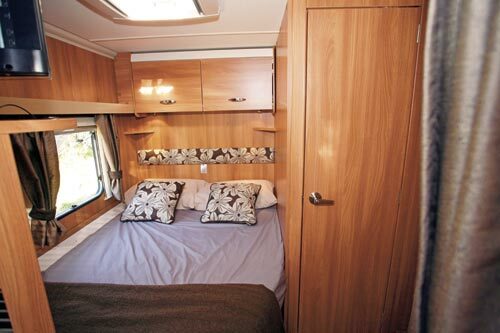 Measuring 1.89x1.32m (6ft 2in x 4ft 4in), the bed naturally takes up the whole rear corner. It sits on a slatted base that can be lifted to get to the large storage space underneath, which also has an external access door. Surprisingly, the spare wheel is stored there. 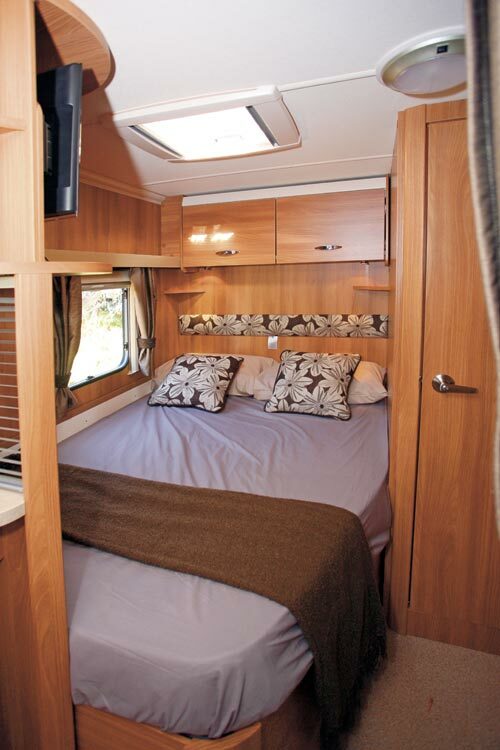 Above the bed are two overhead lockers, which are a little hard to access without climbing onto the bed. 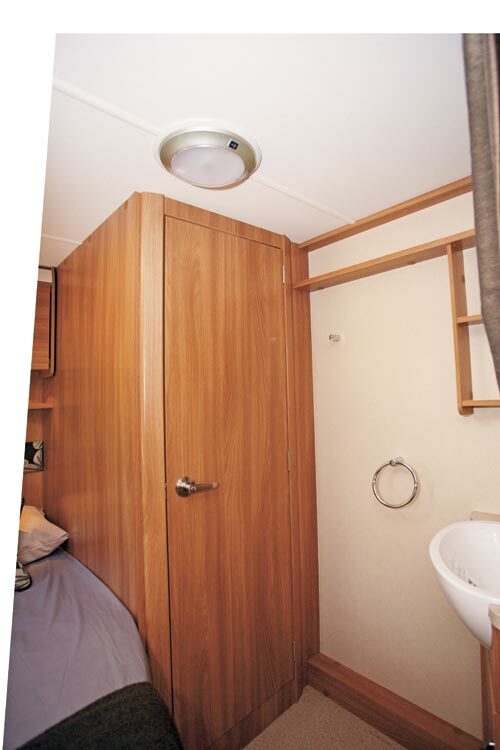 Getting a bathroom into the corner of a van this size is a bit tricky but it has been achieved here. 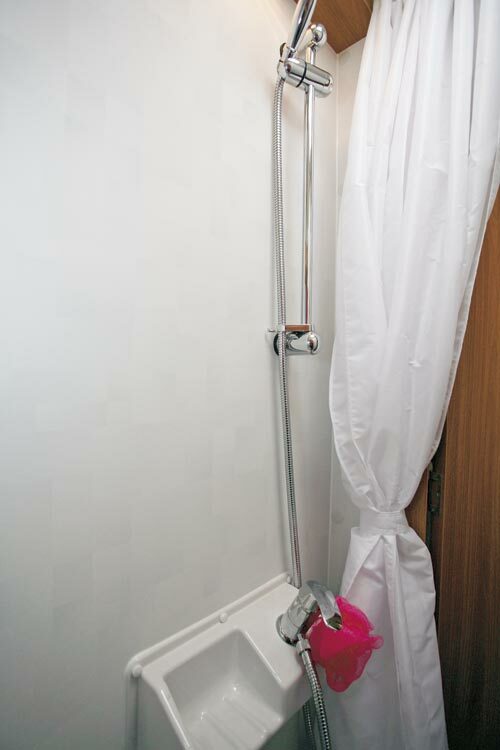 The washbasin and vanity cabinet are outside the shower cubicle and just the Thetford cassette toilet, which is swiveled sideways, and the shower hose are inside. It's all very compact but it works quite well. 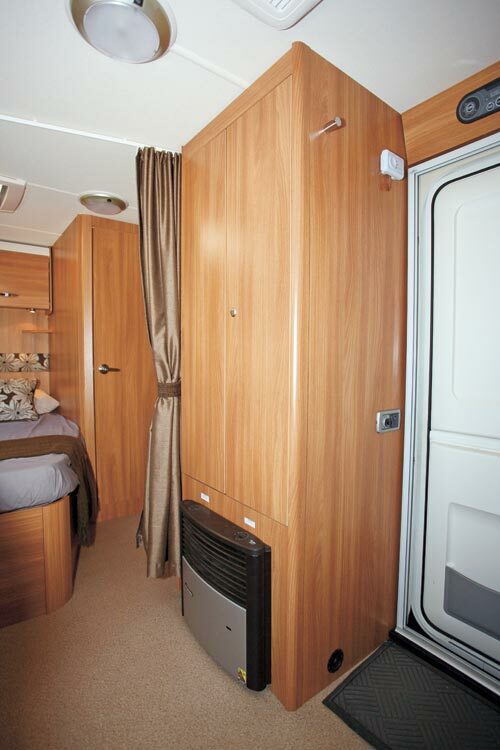 The remaining space in the Sprite between the entry door and the bedroom is filled by a good-sized wardrobe and, being a British van, a Truma gas/240V space heater underneath - an air-conditioner is optional. 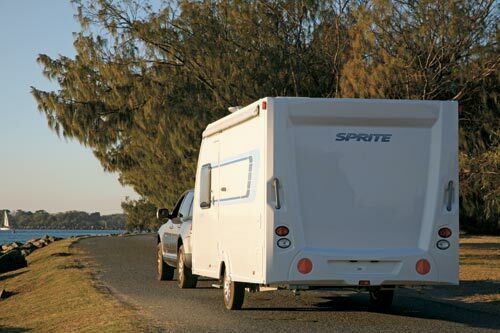 There's no doubt the Sprite Alpine 4 differs to standard Australian vans but it has quite a few features that many local vans don't, such as its light towing weight. 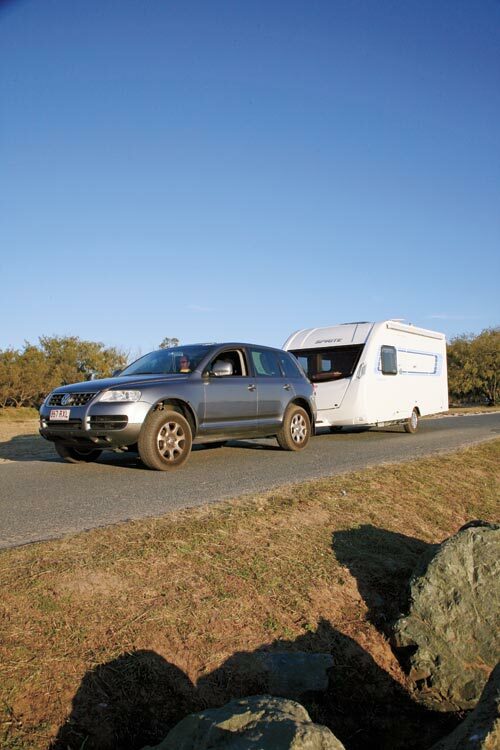 This is certainly a very attractive feature for owners of smaller tow vehicles, as well as economy-conscious owners.